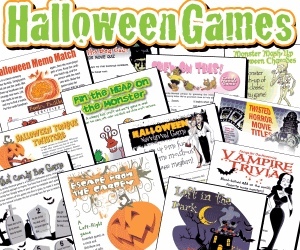 All the printable games listed on this page are so easy to do. Just select the games of your choice from a website, purchase online and then print at your own computer. Then you are ready to play! Another plus is that they are very inexpensive, and you can print exactly what you need. Add some great Halloween party recipes and Halloween party snacks, and instant party planning is done! Here are some easy games that are available from our advertising partners and affiliate relationships that you may enjoy! 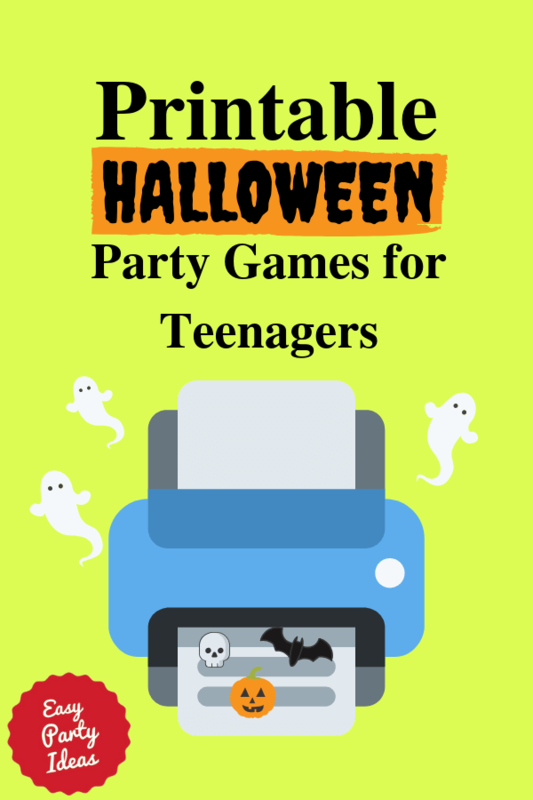 Printable games can be a fun icebreaker for something to do when people are arriving at the party. If you have a lot of people coming who might not know each other, it can also give them something fun to discuss - filling out the answers can be a group effort and they can combine to find answers faster. Another use for these printable games is to include one in with your invitation. Guests can start having fun before they even arrive at the party, and this just adds a little more fun to the anticipation of the event. The printable games we recommend are among the best in the business - just print and play! Scavenger hunts make great teen party games! You'll find scavenger hunts already planned for you on this website. A popular form of mystery game is to order a scripted party. You have the parts, everyone dresses up, and you act it out, all while trying to figure out "who did it!" You can purchase a boxed set, like these murder mystery party games. SimpliFun also has games that you can just download and print at home. No waiting to have it delivered! 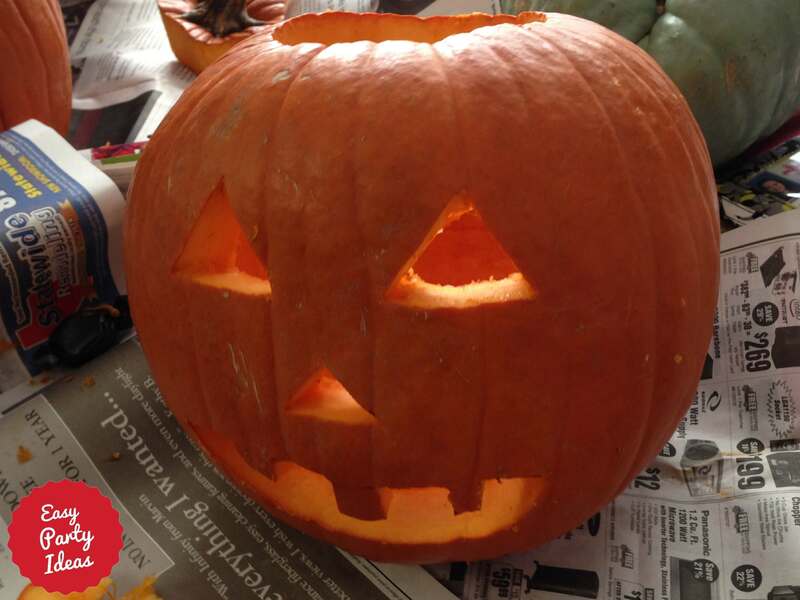 Do you have Halloween Party ideas for teenagers that have been a big success? This is your chance to pay it forward, and we'll share it with other visitors to this site!